Oh friends! I’m very excited to share that I will be participating in a Live Webcast with Lysa Terkeurst and Kelly Stamps (from KellysKornerblog.com) for the release of Lysa’s new book – Unglued – Making Wise Choices in the Midst of Raw Emotions . It will be on Thursday, August 30th at 7pm CST (that’s 8pm my time 🙂 EST ) and it will be on-line for FREE at KLove.com! Lysa is the New York Times Best Selling Author of Made to Crave, a Women of Faith speaker, Extraordinary Women Conference Speaker and an author of 14 books including Becoming More Than a Good Bible Study Girl. She is also the mother of 5 children and a co-host of the Proverbs 31 Ministries’ radio program played on over 1200 stations! Unglued hit the New York Times Best Seller List the first week it came out! And I’m giving away TWO Copies of her book here today! K-LOVE and Proverbs 31 Ministries presents the “Unglued” Women’s Conference on Thursday, August 23rd at 7pm CST to help you make everyday life decisions in the midst of raw emotions. The conference will be hosted by K-LOVE’s Amy Baumann, Amanda Carroll, Kelli Caldwell and Lauren Lee along with New York Times bestselling author Lysa TerKeurst and you can view the webcast right here online in the comfort of your own home. Be sure to tune in on August 23rd at 8pm EST at www.klove.com to see the 1st of 3 Live Webcasts! To sign up for a reminder email for the webcast click here … see you at the 2nd one on August 30th!!!!!! To enter to win one of TWO copies of Unglued leave a comment on this post! For bonus entries, tweet, facebook or pin this post and then leave extra comments to let me know what you did! This giveaway ends on Saturday, August 25th at 9pm! 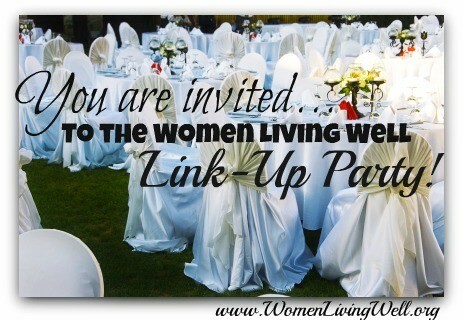 It’s Living Well Wednesday – Link-up time!!! I can’t wait to read this. I hope I win!! I would love to win a copy of the book, please enter me. I’d love to win a copy of the book!! I would love a copy of this book, then I would be able to buy even more to pass out to my bible study group. I can’t wait to read it. I have heard wonderful things about it. Thank you for your giveaway. I have been listening to KLOVE and have been interested in reading this book. Thank you for the opportunity to win!! I’d love to win a copy of this book. I enjoy her emails every morning her Proverbs 31 Ministries. They are awesome. “Unglued” looks like an amazing book! Can’t wait for the webcasts! Ooo, I’d love to win a copy of this book. I’ve been reading about it on Lysa’s blog for months. Sounds like something I need to own. I ‘m looking forward to reading this book and would love to win a copy! This book sounds like exactly what I need to handle some of my anger issues and draw me and my children closer to the Father. If I don’t win a copy I’ll have to buy it! Can’t wait to read it. I believe I’m past “Unglued.” Sounds like a must read. I’ve tweeted and shared via Facebook. Thanks for the opportunity. I so want to read this book!! I would love to win this book as I know that I come Unglued alot!! Courtney, I would love to win a copy of this book! I seem to be unglued all too often. Blessings to you! Yes, please enter my name to the drawing! I am almost done with Made to Crave and it is a great book! Very inspirational and honest. I am sure this book will hit home with me and my family as well! Thanks for the opportunity! I am in the middle of reading “Made to Crave” and would love to read this book, too! I have been hearing all about this book on Klove, would LOVE a copy! And one to giveaway! Thank you for the opportunity! This sounds like a fabulous book and perfect me and my unglued moments. I would love a copy! Thanks for entering me! Would love to win Lysa’s new book. And I tweeted. Thanks so much. I loved Made to Crave and a few other books Lysa has written. I’d love to win a copy of Unglued! Thanks for the opportunity! I would like to be entered pls. I would love to win a copy of this book! Thank you for the chance to win it. I would love to win one of Lysa’s books! We were just talking about this book at our Bible study tonight! If I don’t win I’ll still go out and buy one, but either way, I’d love a copy to read! I just saw this book today…I told a young woman I am mentoring…oh I would love to do this book together. I would LOVE to win this book! I love Lysa and her work:) Thanks for the link up and giveaway! Less than a few weeks back, I had some very difficult circumstances occur that were very overwhelming. I was emotional and pouring my heart out to the Lord in prayer on a long drive home one evening. As I was driving, I heard about Unglued on KLOVE! I have had this book on my heart ever since and was hoping to read it soon. I would just love to read this book and be entered in the contest! Thank you for this opportunity! Blessings! I <3 Lysa & Proverbs31 Ministries! I have read several of Lysa's books and her testimony is one thing that helped me begin to leave my past in my past and accept God's healing and peace. I would love to win this new book. Thank you for the giveaway and the link up too! This is on my wish list at Amazon…would love to win a copy! Count me in! I am currently very “unglued” and need to be making some major decisions, so this book coming out is VERY TIMELY! I’ve read a couple of snippets from Unglued and it’s awesome. Thank you so much for the opportunity to win a copy. I would like to win a copy! Thanks for the giveaway! oh, this seems very timely for me. looking forward to hearing/learning more. Hello, this is my first time here, and I have to say that blog looks amazing. I really enjoyed this post. Plus, my post is now a part of your link up party. 🙂 Thanks. I’d love to win this book!!!! I’m looking for new stuff for our ladies at church would love to win! I would like to be included in the drawing for this book. Sounds to be very helpful for me. Thanks! I would love to win a copy of this book. I’ve been married for less than a year, and due to some unexpected issues (a potential job loss and a cancer diagnosis, both for my husband) in the last 5 months, I’m finding myself to have to “fight” harder to not become unglued. Looks like an amazingly insightful book. Thanks for the giveaway. I heard about this book several weeks ago….Looks so good! Would luv to win a copy. I also tweeted this! what God has given Lisa to teach!! Hope I win!! Shared this on Facebook!! Woo hoo!! Sent out a tweet saying come join us!! Now I have 3 chances to stop coming “Unglued”!! Yay!! I would love the chance to win this book. I am just about to embark on homeschooling my two young girls (ages 9 and 7 1/2). I have a 1 year old son, as well. Some days I feel unglued, myself. I constantly have to remind myself that it is not about me and it is not in my hands. All I can do is my best and be the best mom, wife, and woman I can be. It is nice, however, to have a written reminder of the bigger purpose. 🙂 Thanks for the opportunity! Oh my, who hasn’t come unglued when life gets overwhelming. I pray God’s blessings on Lisa and her newest work. May He use it to encourage and empower women to live in the fullness of Him every day. This sounds like a great book. Really looking forward to reading it. Do you know if it will be on Kindle? I’m excited to read this book! Maybe I’ll win a copy. Thanks for the opportunity! Can’t wait to read this book and watch the webcasts!!! I loved her Made to Crave devotional, so I am really looking forward to reading this book as well! This book would SO be for me. I struggle every day to control my emotions in a healthy way, but it seems like I’m always wearing them on my sleeve! Looking forward to reading this book. I would love to win the unglued book! Thanks for all you do! It is far to easy to allow ugly emotions get the best of me. I am so very curious how to stop becoming Unglued — I am curious about this book. The webcast sounds exciting – I hope family life is cooperating so I will be able to tune in. Thanks for offering up a chance to win this book. I would love a copy of the Unglued book. I would give the 2nd copy to a dear friend. I love Lysa Terkeurst. I NEED this book…my husband, my kids, my family NEED me to have this book. I would love to win this. Thank you for the opportunity. This book sounds incredible. Would love to win! Would love to win a copy for myself and my friend! SO excited to read Unglued! Please enter me to win a copy. I am facilitating an on-line study of Lysa’s book “Unglued” on facebook starting September 17, 2012. I have been reading the book and preparing assignments for each week of the study. God named my ministry “Many Strands of One Accord On-line Bible Studies” and I have facilitated 2 book studies through that group…”The Power of a Woman’s Words” by Sharon Jaynes and “Trusting God” by Sharon Jaynes, Mary Southerland and Gwen Smith. I would love to win one of these books and use it as a give-a-way for my on-line study. Several ladies have wanted to join, but could not afford the book, for various reasons. If anyone is interested in joining the study, just click on the link for more information. Would absolutely love to win a copy of the book ! I would love to win this book really sounds like something that would be so helpful to me at this time. This may be the only way I can read this book due to finances, so it would be great to read it and pass it on to others who may have the same needs as I do. I would love a copy! Thanks so much for the giveaway! Shared on facebook! Thanks again! Would love to win 🙂 Thanks for entering me. Oh how I would love a copy of this book…thank you for the offer. Loved the title!!! I would love a copy! I would love a copy of this book! Thanks for the giveaway. This book sounds amazing! I would love to win one. Thank you! I am a huge women living well fan! Thank you for all you do! You’re a great example of a godly wan in 2012. I have been having this very “Unglued” issue right now. Not how I want my children to remember me. Would love to have this book! I’d love a copy!!! Sounds like a very timely book! I would love a chance to enter into this giveaway. Thank you. Would love to win a copy…thanks for the opportunity! My friend and I were talking about doing Unglued Bible study just yesterday. This would be a wonderful way to get the book! 😉 Thanks for the chance to win one! I love her books…I would love to win this one. Thanks for the giveaway. Thanks for the great giveaway. I’d love to win. I’d love to win this book, it sounds so helpful! This book looks great! Thanks for the opportunity to try to win a copy. Her book “Made to Crave” was amazing. I imagine this one will be too! I’d love a copy!! I pinned this book on my book wish list board on pinterest. My friend was just telling me about this book. I’d love to win a copy! I would love to win the book. It sounds great. I’m so looking forward to reading this book. I’d love to win a copy! 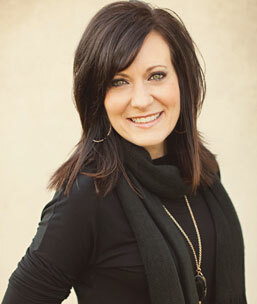 I love Lysa Terkeurst! Would love to win a copy! I would Love to read this book! Our pastor’s wife recommended it last week at a womens event and I have not purchased it yet 😉 Sign me up to win! I also posted about the giveaway on Google + I don’t know if this counts for an extra chance to win, but it should. I would love to read this book!! Thanks for your blog, Courtney! Can’t wait to read Unglued, guess I need it! I have been sooo unglued lately with life’s challenges. This would be a great book to win! I would love to win Lysa’s latest book! And thank you for the link-up! Oh I can’t wait to read this..sure hope I win but if not I still want to get a copy. Thanks courtney! Yay for the live webcast..how cool!! Thanks so much for sharing this book. I am really excited to read it. My small group is going to start the Unglued Bible study in a couple of weeks so I’m in the market to get a copy of Unglued. Winning it would be extra special! Well I would love to have a copy of the the Book Unglued. That is what my life is right now. I thought the Lord was wanting to use me to testify and maybe do some speaking but with the latest circumstances I am not sure where he is leading me. I am looking forward to the webcast. God Bless Girls, its going to be good. I would just love this book. It sounds like something I need. Would love to win! We start the study sept 13th! I look forward to reading this book! Please enter my name! Thanks for hosting this giveaway and for the inspiration you are to many! Unglued sounds like what women need today. I’d love a copy! I definitely need to read this book, I’d love to win! I’m reading “Made to Crave” now and loving it! Would love to win another one of her books! Would love to win this book – looks good! I love Lisas encouragement…she is amazing! I would love to read this book! I am looking forward to this so much!! I am facebooking this one!! Can’t wait to listen on Thursday! I would love to read this book. It sounds amazing. Lysa’s books are great resources to grow our marriages in Christ. Her teachings are great for the soul and every aspect of life. Would love to win. Wow…this book is so pertinent to my life right now! I would love to have one. Really interested in this book! Looking forward to the webcast! I wanna win so bad I can taste it!!!! Thanks so much – looking forward to this great read!!! I could really use this book…it sounds great! I sooo need this book! I’d love to read this!! I can’t wait to read the book! Do you know if we can view the webcast later if we won’t be home at 7:00? Lysa is my favorite author! Can’t wait to dive into this book. Looking forward to the webcast. Already signed up for an e-mail reminder. I’m planning on picking up the book tomorrow but winning a copy would be even better! I’m very interested to read it and determine my reaction type and figure out how to do it better!! Unglued sounds like a wonderful study! Wish I had this 20 years ago! Ha. I can still use this book and hopefully can help train my daughter. See you Thursday! I am heading to the beach in a few weeks and need a good book to read. I would love to read the book and do the Bible study with a few ladies. I was just looking at this book yesterday. I would love to win it! Good morning, everyone! I would love to win a copy of ‘Unglued’, we are going to be studying it in my women’s Bible study this year and I am so excited! I would love to win a copy of this book. As I’ve gotten older, I feel like I come ‘unglued’ a little easier. I used to be so good at controlling my emotions and rationalizing thoughts and feelings. Maybe it’s a hormone thing– or maybe it’s just a life thing (i.e, kids, marriage, hardships)? But any guidance from a woman’s christian p.o.v. is so wanted and welcomed. the rest ……and pass it on……very good! I cannot wait to read this book! I am also VERY excited about the webcast! Thank you so much!!! What a wonderful giveaway! Thank you for entering me. Unglued – an emotion we’ve all experienced more than once most likely. Bless you! Would love to win! Thanks for the great giveaway!! I pinned this post to my pinterest site – Excellent giveaway. 🙂 God Bless Your Day! I tweeted the link to this page! I pinned it to my Worth Reading board in Pinterest! i need a new good book for the fall! This is the book for me. We’ve just moved and life is confusing and emotions are raging. I’ve been hearing this webcast advertised this week on KLove and am interested in listening – my issue is that it broadcasts when our family will be on the go with my oldest having soccer practice. Will it be available post airing online? The Book Unglued sounds great and like one that would benefit from reading along with many other women – of course its the implementation of the suggestions that is the most difficult part! Would love to win this book! A friend of mine told me about it and I can’t wait to read it and see the simulcast! Yay I would love to win! I am excited to get my hands on this book. I just signed up for Melissa Taylor’s book study and I need the book! Everything Lysa writes is amazing, so I would love a copy of Unglued! I’d love to win a copy of UNGLUED. God has been convicting me strongly regarding my reactions to situations. I have been hearing about this book everywhere. And lately I have been feeling more and more like I need to read it!! Thanks for this opportunity! I would love to win a copy of UNGLUED! Hi Courtney! I would love to win a copy of the book! Please enter me! I posted this on FB as well for a second entry! Would LOVE to win a copy of this book…my husband’s always telling me I need to learn to handle my emotions better. :/ I’m really looking forward to the webcast, as well! I’ve been hearing about it on K-LOVE! I will be watching on Thursday!Sounds great:)Hope I win a book. Can’t wait for the webcast – thanks! Great topic. I pray God will use the book in wonderful ways. Planning to read this book no matter if I win it or not:) But thanks for the giveaway opportunity!! I’m so thankful for your blog Courtney… you inspire me to be a better wife and mother. Your blog has also led me to many other wonderful blogs, including Lysa TerKeurst’s! I would love to read her book! I SO need this book. I come unglued more often than I care to admit and really need some help getting a grip. Looking forward to the webcast! I just finished a group study of Made To Crave and we all thought it was fabulous. We were thinking of doing this one next so it would be great to win a copy. This is definitely an area I struggle with. Looks like a great book! I’ll have to catch the webcasts, too! I would love a copy as I’ve been thinking a lot about how not to come “unglued”…. Thank you for giving a couple copies of this book away! I’d really benefit from this book. God bless and great day to you. I would love to win a copy! Homeschooling 6 children occasionally leaves me unglued! I can’t wait to read this, we are doing it for our women’s study this fall! I tried leaving a commen earlier, but my computer was being wonky 😛 I’ve been wanton to read this book!!! So exciting!! Thanks for the opportunity. Can’t wait to read this one. I think this book was written for me! I can’t wait to read it. I need this book. i make bad decisions when my emotions are out of control. I’ve been dying to buy this book! As a new christian, I read her book Who Holds The Key to Your Heart and it radically changed my life and thought process. Every complaint about life, I saw as a blessing from God. I no longer looked at my husband’s dirty socks as a nuisance, rather a blessing that at least I had a husband to love and take care of. Thank you for the giveaway!! Anything Lysa Terkhurst writes will be a blessing and I can’t wait to read this one. Thank you so much for hosting this giveaway. I would love to win a copy! I am very excited to read this book. I haven’t read any of her books, but she definitely sounds like a great author with Godly insight. I would love to win a copy of the book. Thank you for the giveaway! Would love to preview this book as a potential study for my ladies bible study group! Thanks. I would really enjoy winning a copy of this book! It seems like such a wonderful book that’s just full of knowledge, and with a toddler (and a baby on the way) I think I could use some advice about staying calm and breathing through the difficult moments! I have heard so much about this book lately. I think God is trying to tell me something–LOL! Would LOVE to win a copy! 🙂 Ever since I stumbled upon your site I have been engrossed! lol Love getting my daily fix and being inspired to walk with the King daily! Thank you for all you do! I would LOVE to win a copy! I’ve heard great things about her book and would love to read it! I’ve never read any of Lysa’s books but I have read her blog and it is so encouraging. Please enter me. I would love to win Lysa’s book. I have read some of her books. So good. Would love to win this, either way it is on my MUST read list. I want this book so much! I’m waiting though since I’ve been buying hs’ing curriculum this month! I just came across this book yesterday and am excited to check it out! oh I cannot wait to read this book! Loved all her others! I just read the first 2 chapters in PDF form (FREE) and after the second page, I began to cry. The words on the page were describing my life. I really want to read the rest of this book! I believe it God’s answer to my pleading with Him to help me with being UNglued! I can’t wait to read it. What am awesome opportunity I win a copy. Thanks. I shared on Facebook. Hope it brings someone new to your blog cause I’m so thankful to read your posts. Sounds like a great book! I’d love to win and read it! I am loooong overdue for some adult/women-based reading! And like someone else commented, this looks like a great book for a women’s bible study group. I would love to win a copy! Thanks so much! Look forward to listen to KLOVE tomorrow night…in Paraguay! 🙂 Thank u for your ministry!! I just got Lysa’s book “Made to Crave” and am looking forward to reading it. “Unglued” will be the next on my list! I have been to two different Lifeways in different cities to get this book and they were sold out both times! I would LOVE to be entered to win a book. Thanks!! Pick me! Pick me!! I’d love to win a copy of this book! I woul love to win!! please, pick me!!!! I want to read this one! Winning a copy would be so fun! Might be facing a major life change again, moving to another state with two unhappy teenagers. I feel unglued. I’d love to read this book- thanks for the giveaway! What a great opportunity. Thank you! I work in our children’s ministry on Thursday nights so I’ll miss the webcast but I hope they have “reruns” on KLOVE as I’d love to hear it. How Awesome I’ve been looking forward to that talk all week and am counting it down, I really needed because I have a tendency to become unglued or everything and very dumb things. ALL. THE. TIME. Its my biggest weaknes but I am really working on it. I heard about it last week while listening to Scott and Kelly and I can’t wait and not more excitement to hear you speak too! How Awesome I’ve been looking forward to that talk all week and am counting it down, I really needed because I have a tendency to become unglued or everything and very dumb things. ALL. THE. TIME. Its my biggest weaknes but I am really working on it. I heard about it last week while listening to Scott and Kelly and I can’t wait and now more excitement to hear you speak too! I have been wanting to get this, but to say money is tight would be an understatement. Thanks for the chance to win. I look forward to all the webcasts! I am soooo interested in this book! As a pre-menopausal mom of a preteen and a teenager, being unglued is my middle name! Would love win a copy! Looking forward to this webcast—and would love to win a copy of Unglued. I would LOVE a chance to win this book! I need it!! I posted this giveaway on my pinterest as well. I love the title of this book because it sounds just how my life feels it has been doing the last few weeks. I would love to win a copy of this book. Lisa is a awesome writer and a great inspiration to all women. I loved her book and workbook What Happens When Women Say Yes to God. It’s a absolute must read. I just love her books. I can’t wait to read this one! I have heard Lysa speak before and I can’t wait to read this book! I tend to stuff all my feelings and every now and then I blow my stack! Then I feel badly; actually, either way I feel badly. I think I could benefit much from this book!! God bless you both for your wonderful ministries!! I plan to buy this book and participate in the Proverbs 31 online Bible study on it. However, I have a freind who is really going through some hard times and I’d like to win a copy and give it to her…so she can join me in the study! That would be awesome! Can’t wait for the webcast!!!! Just shared on facebook…here’s hoping to winning an awesome sounding book! I was totally unglued last week, but am slowly feeling like I am pulling back together as God does His good work and our family waits for her next cardiologist appointment. This is going to be a great book. Well needed for many women, including myself. I feel very unglued! It’s amazing at how little the irritation could be that has the potential of “unglueing” me. I know it is not how God wants to me to feel or react. I would love to read this book! I just posted this to my FB as well. This book has my attention! Can’t wait to read it. This books sounds perfect for me! Its been a rough couple of months and I’ve been feeling frustrated! Sometimes “unglued” is my middle name. Please enter me for a chance to win. Thank you! Can’t wait to hear the webcast. And would love to win the book! Thanks! Hi!! I would love to win a copy of the book Unglued! I think I come unglued too many times in one day with my family! Thanks for all you do! I shared on my FB wall too! Would love to win! I would love a chance to win this book! I love Lysa’s writing! Likes of “good” stuff today!! I’m looking forward to the Live Webcast and it would be awesome to win Lysa’s new book, “Unglued”. Thanks for this opportunity. I would LOVE a copy of this book. I love Lysa and her writing. Pick me, pick me!!! And I posted a link on my facebook too! See, I really, really want it!!! This book is a must read for me! I hope I win, thank you! Would love to win the book as unglued is becoming a very regular part of my days lately. Will the webcast be archived? Will be out house hunting this evening and not sure I’ll be able to listen at 8:00? I am EXCITED to watch tonight and would love to WIN the book, since I will be buying it otherwise SOON. I love her as an author and have told friends about this. PLUS — I have heard Klove when I go through NJ and glad you now have a Phila. station. Would love to read the book! An actual paper book that you can hold in your hand – WOW! Can’t wait for the webcast and to read unglued. So randomly pick me!! Started reading the sample I downloaded on my nook yesterday! Only got through the first chapter and I knew THIS was the book I’ve been needing in my life. Hope I win it and I’ve already decided that both my sisters need this book for Christmas this year. Love Lysa and have read many of her books! Would LOVE to win a copy of the Unglued book! Thanks! I can really use some help in this area-would be great to win a free copy of Unglued! I read the first chapter of Unglued & it was like Lysa was reading my mind. It is so comforting to know that others struggle with the very same things I struggle with. What a blessing this book will be to so many! I would love to win a copy! I would love to win a copy of Unglued! I really need to read this book, as I tend to come unglued a lot! Thank you! I wanna win this book so bad!!! She is my favorite!! Thank you so much for the opportunity! Oh boy do I need this message! I heard her talking on KLOVE last week and it was really good stuff. I am so excited for the webcast tonight! 🙂 I’m also pinning, google+, and FB sharing this! I’ve heard Lysa speak before and I’ve read and LOVED three of her books. Can’t wait to read this one, and to listen to the webcasts! Thanks for the info, or else I totally would have missed the webcasts. I’m new to this wonderful resource and I thank God for women who have a heart for other women. Thank you for all you do. and now I’ve shared it will all my friends! I would love to read this book! My husband and I both work full time and we have a two year old little boy…I feel like I could easily come unglued with everything there is to do!! I would love to win a copy of this book! Thank you for doing a giveaway! I can’t wait to read this!!! Sounds great!! Maybe this book would help me in my pitiful relationship endeavors. I don’t know what to do anymore..Explode or not show any emotions.?? God, help me! Sounds like something I really need to read right now. Thanks! great giveaway – I would love this book!